Faith Community Nursing (formerly knows as parish nursing) was birthed through the imagination of a Lutheran pastor and chaplain named Granger Westberg. Granger was a great innovator in faith and health who saw how perfectly faith practice aligned with medical care–faith settings to provide the well care and hospitals to provide the sick care. He believed that a nurse in the church would be an effective way to blend the two…and he was right! Faith Community Nursing is now a specialty practice of nursing and is a model for faith-based health promotion that is being used around the world. Listed below are some resources if you are interested in learning more. Advocate Health Care’s Parish Nurse Ministry maintains partnerships in 29 diverse congregations. Advocate’s program supports a paid parish nurse model in which congregations and Advocate partner to provide a nurse’s salary and benefits. 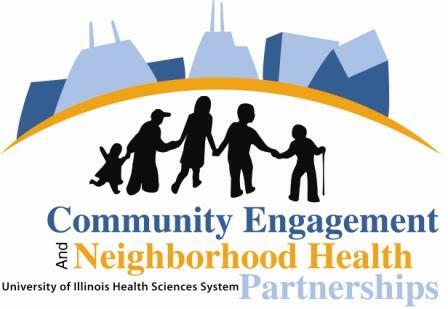 Advocate’s parish nurse partners are in communities across metropolitan Chicago, from the West Garfield Park and Uptown Chicago neighborhoods to the suburban settings of Arlington Heights and Naperville. Advocate’s Parish Nurse Network links volunteer and congregationally-based, paid, parish nurses with the resources and support of the Parish Nurse Ministry and the related services of Advocate Health Care. The purpose of the Parish Nurse Network is to provide support services (including materials), parish nurse expertise, on-going education, spiritual support, and networking opportunities to non-associate parish nurses located within the Advocate service areas. Parish nurses, or Faith Community Nurses, are licensed, registered nurses who practice wholistic health for self, individuals and the community using nursing knowledge combined with spiritual care. They function in paid and unpaid positions as members of the pastoral team in a variety of religious faiths, cultures, and countries. The focus of their work is on the intentional care of the spirit, assisting the members of the faith community to maintain and/or regain wholeness in body, mind, and spirit. Their practice is governed by the nurse practice act of their state; the Nursing: Scope and Standards of Practice; Faith Community Nursing: Scope and Standards; and the Code of Ethics with Interpretive Statements (for nurses). The Westberg Institute for Faith Community Nursing provides education, consultation, and research to support the growth and development of parish nursing around the World. For more information, please visit www.churchhealthcenter.org. The Health Ministries Association (HMA) is a national organization that encourages, supports and empowers leaders in the integration of faith and health in their local communities. HMA is also the national professional membership organization for faith community nurses. HMA holds national and regional conferences and summits on health ministry, works with the American Nurses Association to establish and maintain scope and standards of practice for faith community nurses, and nurtures regional networks of those involved in health ministry work. View a video that contains an overview of HMA’s history and work.